A soldier often looks to strike at the heart of their enemy. Protect your chest with the Antonius Leather Torso. 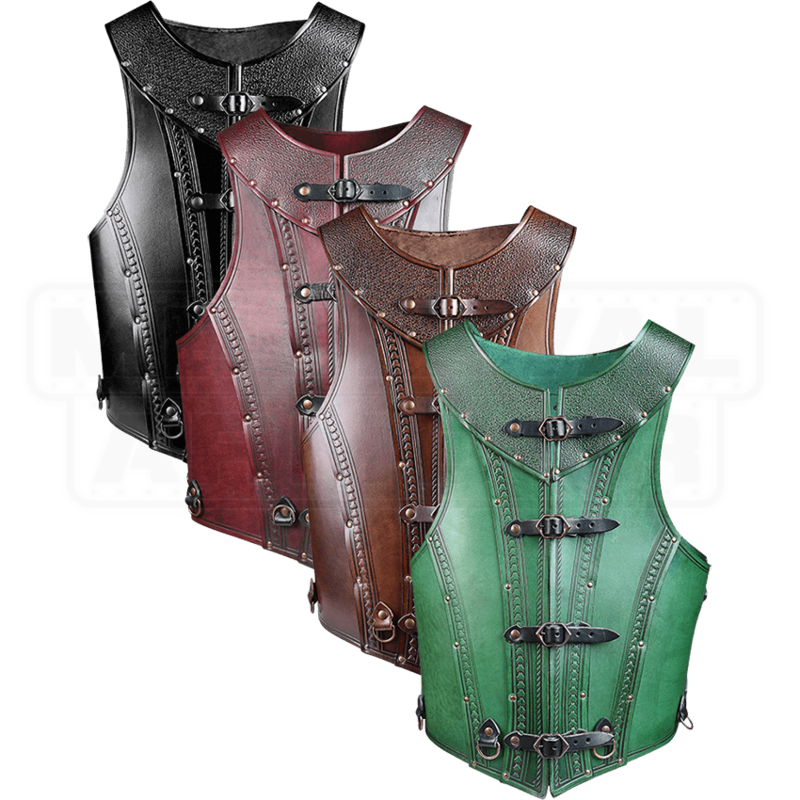 Available in four colors, this leather chest armour can work versatilely with a variety of outfits. Two buckle straps on either side allow the wearer to adjust the size as needed. Two straps on each shoulder allow the option of attaching pauldrons. D-rings at the bottom also permit the addition of tassets. The attached gorget or neckline has a textured finish while the rest of the torso is a smooth finish with embossed details. The front section has a strap and buckle closure. 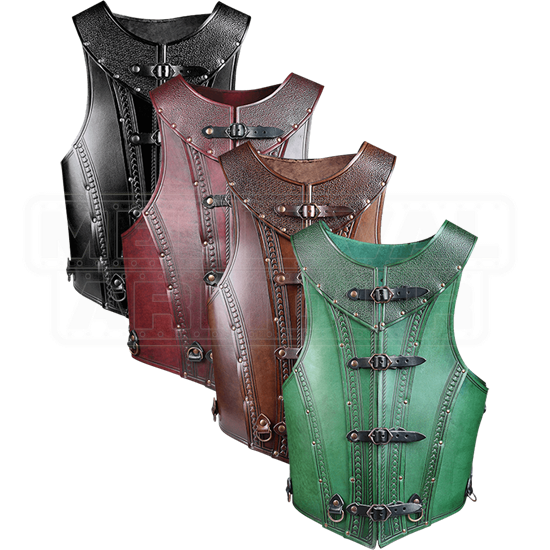 The leather torso armour is ideal for the smart warrior who is attending a medieval faire, historical convention, or role-playing activity.